BRUSSELS, 3 May 2018 – Teams of 13-to-15-year-olds representing classrooms from 25 European countries will meet in Brussels on Tuesday 8 May to play the first-ever finals in the European Money Quiz. The teams qualified for the European finals by winning their respective national finals, in a international competition that has attracted more than 41.000 participants across Europe. 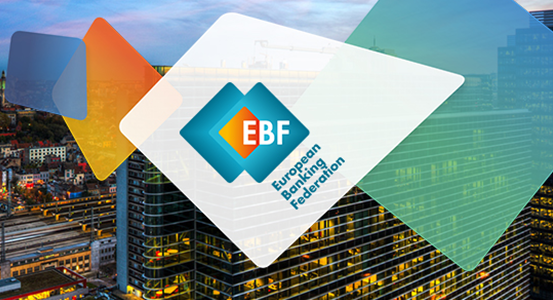 The European Money Quiz is a financial literacy competition designed by national banking associations across Europe, under coordination by the European Banking Federation. National finals were held during March and April, with classrooms in the participating countries playing directly against each other through a live online quiz via the Kahoot! online learning platform. 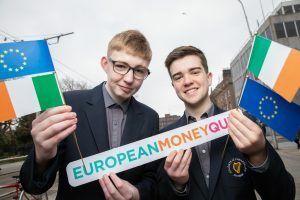 Irish students Ciarmhac O’Fionnagáin, 14, and Michael McGovern, 14, are set to fly the flag for Ireland as they bid to become European Champions in the finals of the European Money Quiz 2018, a European-wide financial education competition They will compete against kids from 24 other countries on Tuesday 8 May in Brussels. Photo: IBPF/Keith Arkins. The classrooms that emerged as winners of their national competition all have selected a team of two representatives to represent their school in the European finals. 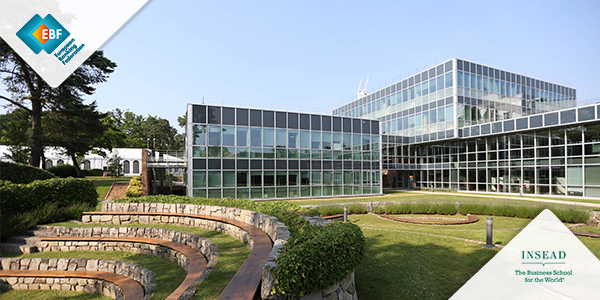 The participating teams come from Albania, Austria, Belgium, Croatia, the Czech Republic, Estonia, Finland, France, Germany, Greece, Hungary, Iceland, Ireland, Italy, Latvia, Lithuania, Liechtenstein, the Netherlands, Norway, Poland, Portugal, Serbia, Slovenia, Spain and Sweden. In the final each team gets to answer a total of 30 financial literacy questions via a Kahoot! quiz in which the correct answer needs to be given as quickly as possible. Each team gets to answer the same questions in their native language. The winners of the Brussels final will be crowned as the 2018 European Money Quiz Champion and will receive a cash prize of €3.000 which their school can spend on a financial literacy project. To help students prepare for the quiz the organizing banking associations have created practice quizzes in 22 languages. These are designed to help students test their skills and insights and determine their readiness to manage personal finances. Teachers can also use these ‘Kahoots!’ as a fun element in financial literacy classes. Since January more than 160.000 practice quizzes have been played. The practices are available at www.europeanmoneyquiz.eu and via the various national websites for the European Money Quiz. The Kahoot! platform is already widely used in classrooms worldwide, especially in Scandinavian countries and the United States. Teachers use it as a fun way to test students’ knowledge about for example geography and history. Thanks to the European Money Quiz they can now also use Kahoot! to test understanding of and knowledge about money and finances. Timing: The award ceremony is scheduled for 15 CET.